Left and Write: Some Google Plussin' and a Super Blogger Award! Some Google Plussin' and a Super Blogger Award! This is going to be a touchy subject for me because I don't like to offend people.....honestly, I don't (so, don't be offended if you think this is about you). I also don't like, though, to see potential wasted so I'm just going to come out and say it. O.k, maybe I shouldn't say "wrong". Maybe I should say, you're not doing it to it's fullest potential. Again.....please don't be offended...., but you're throwing some great opportunities out the social media window. I follow quite a few of my blogger pals on Google Plus and the only time I ever see your names pop up in my stream is when you're linking to your blog, someone else's blog, or your book. Now you can say, "Hey Mark, what makes you the expert? You can't do social media "wrong"?" Well, I guess, technically, you can't do it wrong (and I'm no expert)....everyone has their own agendas when it comes to social media. But, if you're looking to generate interest in your book, blog, whatever, some of you aren't going about it in the right manner, from what I can see. Sort of like the Twitter advice to post more than "Buy my book! ", the same holds true for Google Plus. I realize that many people have limited time they can spend online/on social media, but try to make the most of what time you do have. I mean more than "Buy my book" or "Check out my blog", continuously. You are all such interesting people....no kidding, you are (I wouldn't follow you, otherwise), yet I scroll down your posts and you have no comments, no "plus ones", no reshares, nothing. Because you're not putting yourself out there. You have to engage your audience. Post things about yourself. Like to cook? Throw out a recipe every once in a while? Like Roller Derby? Put up a quick post about your local team. Enjoy camping? Maybe share a quick YouTube video about starting a fire from scratch. Like writing? (Duh!) Post a graphic showing writer's success stories. Stuff like that. She got 25 +1s and 33 comments on this.....about wearing pants. Why would people comment and/or acknowledge (+1) something so silly? Well, because it was silly, because Amy engages (replies back) to her commenters as well as posting all sorts of other interesting things. Now, if you're just on Google Plus as a lark and that other social media site that starts with an "F" and ends with a "K" (get your minds out of the gutter, you know which one I mean! ), is your preferred social media site then totally just disregard everything you've read up till now (if you haven't already). My point is, there is a HUGE audience out there, as well as some great writing communities (here , here and here), on G Plus. Engaging that audience isn't hard....it's actually quite fun....but it's going to take a little effort. Back in March, I posted a little tutorial on using G+, which was a bit convoluted and not that well organized....but it laid out the basics. Since then, I've found an excellent introductory video on Youtube that I wanted to share. It's a bit lengthy (16 minutes), but there's some good info here. Anywho, (if you're still with me) I hope this post didn't offend and I'm really hoping it might have helped clarify just how simple engaging and getting your message out there is, especially if you're not thrilled with the FB alternative. Regardless of what you might read, Google Plus is not a 'ghost town' and is growing by leaps and bounds on a monthly basis. Now, to switch things up from social media to Super Bloggers! I gave out the first Super Blogger Award a few weeks back to the Ninja Captain, himself, Alex J. Cavanaugh and, since then, I've happily seen it making it's way around the blogosphere. I thank you all for participating and helping to acknowledge those bloggers who you really enjoy. 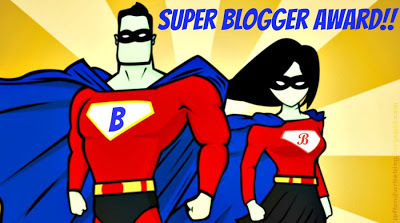 One blogging buddy, who I think is 'super', sounds like she can fly already......Jaybird, from The Bird's Nest! Mrs. Bird, or "J" as some call her, has one of those blogs that got me into blogging in the first place. While she talks about writing, she also talks about life. What's going on with her and her family. How she's feeling. What she has planned for the weekend. All that stuff that might be mundane, to her, but I find pretty interesting in a 'slice of life' way. I always look forward to her posts and her comments and find her "Joisey" attitude funny and refreshing. If you haven't met her, yet, you should hop over and give her a look. Jaybird is an excellent choice! I'm one of those who usually just posts a comment and link to my blog once or twice a month. 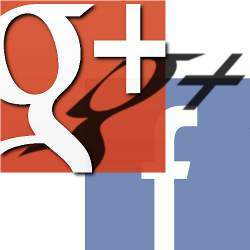 Once in a while, I hit the Google+ button on a blog, although usually I hit Twitter instead. I'll try to add other stuff. Maybe let people know when I'm not wearing pants. Actually, that makes me think I could like google+ I'm not signed up because all I see is blog post announcements and sometimes when I try to go to blogs connected it won't let me comment, or it won't even let me find their blog because they've chosen not to share their information. So far I haven't been impressed but you make is sound fun. I, too, wore pants today. But only because I had to. The problem with google+ is that no one uses it. Almost no one. I used to do more on plus, but, just over the last six months, I've seen the activity level on plus drop to just a fraction of what it was before. It's hard to be motivated to be involved on yet another site when no one is participating on that site. @Andrew: I've seen just the opposite, actually. Maybe it's the people I have circled, I don't know. I have over 16,000 people who have me circled (granted, I'm sure there are some bots/spammers in there), so I have a pretty hopping stream. I understand what you're saying, though, and that's how I feel about Twitter, a bit. I'm not on twitter at all, so I wouldn't know about it. And how in the world did you get into 16k circles? I remember back when you first posted your Google+ tips I was totally on board with trying them and using that site more. How many months later and I am still totally pathetic LOL. Now you've inspired me again so I hope I will actually do something this time. Mark, I just realized I am a part of that first writing community you linked to! Funny. I understand the circles, but accessing the communities is something new. I'm not even sure how to find them. Congrats to Jaybird! I think the Super Blogger Award idea is lovely! @Andrew: I'm sort of "meh" on Twitter, even though I've been using it since, almost, the beginning. I don't think you're missing much there. As far as having 16K circlers goes, G+ has a feature that lets you "share" a circle. Say I have a circle of 150 bloggers that I follow...I can "Share" this circle in my stream and someone can then add that circle to theirs, and viola'...they're now following 150 new people. I follow one girl who has over 80k circlers and she shares a circle I'm included in, every once in a while. There was a time that I was gaining 300 new circlers a day. It's crazy, I know....there are a ton of people on G+ and more joining daily. @Robin: That's o.k, I still think you're a great blogger...even if you're not on G+ :D Thank you! I'm going to keep this post handy.I use Google+ so badly, I don't even share my own or other people's blog posts. I barely do anything. People keep adding me to circles but I have no idea why, because I'm so bad at it. And Jaybird is a great choice and a fantastic blogger. Oops, I think I'm one of those Mark. I'm still quite new to Twitter and G+ and still trying to work out the best way to use them. Oops I clicked published too fast. I find G+ and Twitter a bit confusing and to be honest can't handle too many such platforms. I'm positively not using Google+ to its fullest. Congrats Jaybird! You have opened my eyes Mark. I'm one of those who only uses Google+ to link back to my blog (and another once in a blue moon). Not true. I am really aware I don't know much about Google+. Even more honest, I have not had the will to learn but to my favor, I must add that I just got Facebook very recently. I didn't understand that either. I'm slow to understand social media and most likely I waste 98% of their potential. The problem with social media is that it is too social for me, hahaha. Jaybird is a sweetheart. She does deserve the award. And the award rocks. It's one of my favorites, as your blog is too. Actually, although I understand what you're saying in regards to Google+, I'm delighted I didn't have to go through the magical mystery tour to get to your site. Google+, for those who are using that application to get to their blogs, has been an exercise in needless frustration. However, I do appreciate what you alluded to. Hearty congrats to bestowing your Super Blogger Award upon "Jaybird." Good to hear your G+ info...working it is an art form and like anything else takes time to learn the ropes. Your take is encouraging...thanks for the tips. Thanks for stopping by CITexas Gal. Always good to hear from you and all the AtoZer's. g+ or shmoogle, as i like to call it, is just another facebook... but it's the little step brother, with its own new friends, not as well established, tagging along... more of an annoyance to the larger fb. i was basically forced to join by using gmail! and now google is strong arming msword out of some computers with its google docs. and similar to little bros, it may grow bigger than fb someday, but i have a hard enough time keeping up w/fb! not to mention their chatterbox sister, twitter!! that was fun! great post & congrats on the super award! Thanks so much for the insight, Mark. I'm definitely a wrong doer! @Al: " The problem with social media is that it is too social for me"--- LOL! Yeah, that can be a problem, sometimes, and I know how you feel. I'm sure you'll get the hang of it, if that's what you want to do. Dragons are notoriously clever :D Thank you for the kind words about my blog, I really appreciate that. @Randi: LOL...aww...there's hope for you, though, fear not! :) I know that social media isn't for everyone....FB isn't for me, that's for sure. I don't use Google+ because they are trying to force me to do so. I hate Facebook and Twitter, and I closed both my accounts. Now I'm just a fun guy who blogs. Good advice! I don't use google plus... but that applies to other social media outlets too. WOW! Totally and completely blown away by your choice here Mark- but I thank you! And great big thank you to everyone who wrote such kind things and congratulated me in the comments. Hugs to you all. I don't consider myself a "super" anything, but I am really touched by what you wrote and that you chose me. Thanks again. PS I am absolutely certain I don't use Google + to it's fullest, but only because I am so computer illiterate and challenged I have no idea what I'm doing. I'm lucky I figured out how to post to my blog at all. (I'm so ancient I actually learned to type on a typewriter) The computer and all of its uses are still totally lost on me. I get irritated with Google+ because of the way they handle the images. I'll look at the tutorial--thanks for that Mark--to see if it's me doing something wrong. Jay bird totally is super. As for Google plus...I am an offender. This may shock you, but until I read this I had NO clue what you could do with it. Zero. I just signed up...heck I thought I had to do have a comment profile. I will tinker and watch the tutorial. Maybe I will get better...but don't hate me if I fail. That whole twitter thing still messes with my mind. I need to use it correctly, especially now with new events coming up! I have a Google+ account that I have absolutely no idea what to do with. Let's see if this video can help me out. Thanks. @JJ: I can't blame you one bit there. If it weren't for stubborn family, I would have nothing to do with Facebook. Twitter is 'o.k', I guess, but I'm not heavily invested in it. @Jaybird: Haha, well I think you -are- super, so there :P Like you, I also learned to type on a typewriter and, when I was in high school, even complained that it was something "I'd never use after school"...lol. Thanks for being so super! @Lee: It used to be a lot easier concerning images...I think they've been messing with that since doing some "upgrades". @Michael: Glad to help and I hope it can help you reach a larger audience! I never quite understood Google+, which is why I rarely use it. I've only just joined Twitter this week, and keep looking at Google+ but haven't taken the leap yet. I suppose it's a case of 'if a job's worth doing, it's worth doing well' and I didn't think I knew enough - so thanks for the info and You Tube clip - it might help me take the plunge LOL! Hi, Mark a remarkable post abut G+ I am using it since its innception and am so glad with it, and my more traffic comes from there, as you said the f... Thing really irritates me and I seldom go there. Since its there in my embeded share button below my lage, after writing each post I press the button f....thats it...LOL. But sad to note about g+ limits they should increase, my limit there is up and I can't make any new, why is this? Ineed to do a clean up process like the one I did the other day with my twitter. A BIG Congrats to Jaybird, thanks for the intro. I need to go there now. I'm still partial to Twitter, but this is changing my mind. Good tips Mark.